Today William Benetton will explain What Energy Drinks Actually Do to our Body! Energy drinks have gone from being a niche product to becoming one of the most popular soft drinks around. Combining a range of different flavours with a high caffeine content, it’s easy to see why they’ve taken off in such a big way. For people who aren’t fans of coffee, energy drinks are a convenient way to get a quick caffeine burst, combined with sugar and other stimulants. 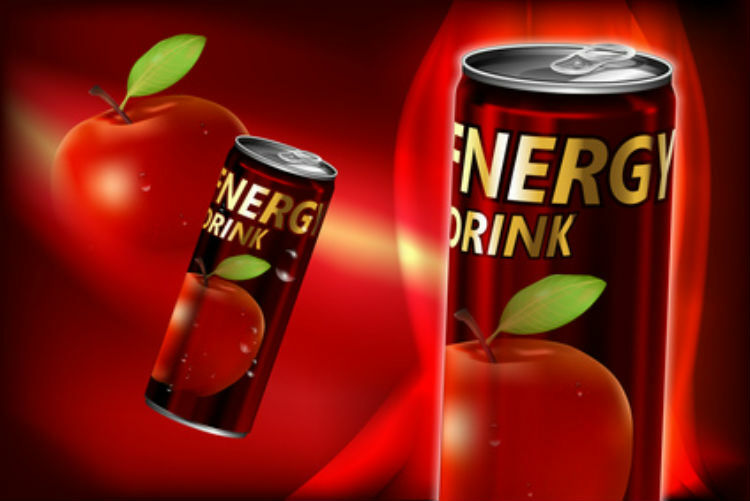 However, many people aren’t fully aware of exactly what energy drinks do to the human body. Given the enormous size of many energy drink cans these days, it’s worth giving some consideration into exactly what you’re putting into your body, and what effect it has on you. The reality behind many energy drinks, and what they do to your body, is actually quite shocking. Naturally, the major ingredient in any energy drink is caffeine. This is what sets these drinks apart from similar soft drinks, and is responsible in large part for their stimulant properties. Caffeine occurs naturally in a number of different plants, and has long been used around the world for its energy giving properties. Mostly consumed in tea and coffee, caffeine provides you with a brief, mild energy boost, letting you stay awake longer and improving productivity. However, caffeine is also a diuretic. This means that its molecules, as they pass through the human digestive system, latch onto water molecules, making the body process them faster than usual. As a result, unless you’re constantly drinking water, you can expect to feel some amount of dehydration after consuming an energy drink. In small amounts, this isn’t a problem and can be easily rectified. However, at higher amounts, dehydration can have serious effects on the human body. The most obvious would be headaches, and a dry mouth. If left for long enough, you can expect this to eventually result in irritability, and a drop in mood. This can easily be enough to cancel out whatever productivity boost you got from the drink in the first place. And for individuals that are sensitive to caffeine, the effects will be felt even more strongly. The other major ingredient in energy drinks is sugar. The average energy drink will contain at least as much sugar as an average soft drink, and many of them contain levels even higher than that. Add to that the fact that many energy drinks are now supplied in sizes up to 500ml, and you’re pretty much guaranteed to be getting your complete RDA, if not more, of sugar in a single energy drink. Much like caffeine, sugar is able to provide you with an initial energy boost that may help you get things done. However, your body processes sugar extremely quickly, meaning that this energy boost is generally pretty short lived. Once complete, you can expect some amount of sugar crash, depending on your state and how much of the drink you consumed. This can manifest as irritability, shakiness, and a general loss in concentration. Both sugar and caffeine, if consumed at high amounts and over a long enough period of time, can have long term effects on your body. Sugar is mostly known for piling on weight in people who consume it regularly. It’s not an efficient way to get energy, providing a quick boost that disappears in a short amount of time. It’s also a major factor in the increasing diabetes problem that health services are dealing with. Diabetes is becoming a major issue in many countries, and unreasonably high levels of sugar in many people’s diets is playing a huge role in it. Diabetes is a potentially crippling disease, leading to many deaths a year. If you want to reduce your risk, it’s best to avoid sugary drinks. Caffeine, like just about any psychoactive substance, can have addictive properties if used over a long enough period. Many people can’t face a morning without their cup of coffee. But given the easy availability of energy drinks, and how easy they are to consume, the risk of addiction is even higher. While not deadly, caffeine addiction is definitely not good for you. Constant caffeine consumption is associated with high blood pressure, something that can lead to serious problems if not dealt with early in life. You’re best off avoiding energy drinks if you want to maintain a low blood pressure. Ultimately, it’s clear that caffeine is here to stay. It’s a key part of cultures around the world, and consumed in many different forms just about everywhere. However, the dangers of energy drinks can’t be ignored. The UK has recently imposed age restrictions on purchase, and it seems likely that more countries will follow suit. Given the wide range of different caffeinated drinks on offer that avoid many of the dangers of energy drinks, you may be better off checking out the alternatives than buying another Red Bull. Author Bio: William Benetton is a famous freelance writer. He loves professional photography and web-design, also he is a fan of fitness. Last few months he loves to create interesting, informative blogs and websites, you can check some of his nice works now.